OXFORD, Miss. – Ann Fairly Barnett, a University of Mississippi School of Pharmacy graduate student, received the Student Training Exchange Opportunity award from the Society of Environmental Toxicology and Chemistry. The award will allow Barnett to conduct research in the Shoemaker Toxicology Laboratory at the University of Southern Mississippi’s Gulf Coast Research Laboratory in Ocean Springs this summer under the guidance of Joe Griffitt, chair of USM’s Division of Coastal Sciences and associate director of its School of Ocean Science and Technology. 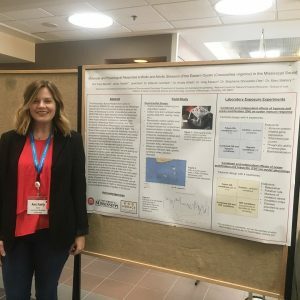 Ann Fairly Barnett presented her research on the effects of pollution on Mississippi oysters at the SETAC Young Environmental Scientists meeting in March of 2018. Barnett’s research examines the effects of ocean acidification and tributyltin, a compound formerly found in painted boat hulls, on the Eastern oyster, as well as how to restore Mississippi Gulf Coast oyster reefs in future climate change scenarios. Barnett, who earned her Bachelor of Science in Marine Biology from USM in 2016, is working toward her master’s in environmental toxicology at the School of Pharmacy. The Jackson, Mississippi, native is a graduate research assistant for Deborah Gochfeld, principal scientist in the National Center for Natural Products Research and research professor of environmental toxicology in the Department of BioMolecular Sciences. 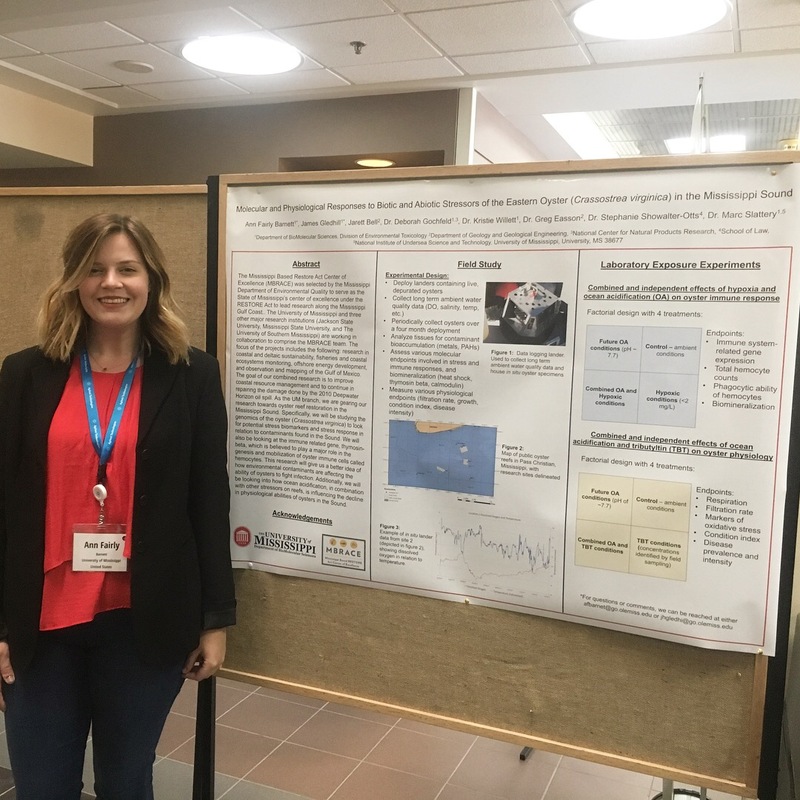 Ann Fairly Barnett conducted research off of Grand Cayman Island on marine sponges while applying for the exchange award. 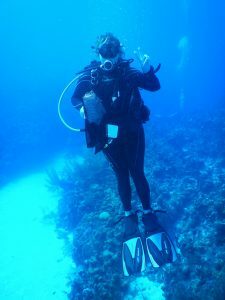 Barnett was working on a project in the Cayman Islands involving marine sponges while preparing her application materials, which she said was akin to writing a small grant proposal.